Were you bored with adding to 100 always? Don't worry. 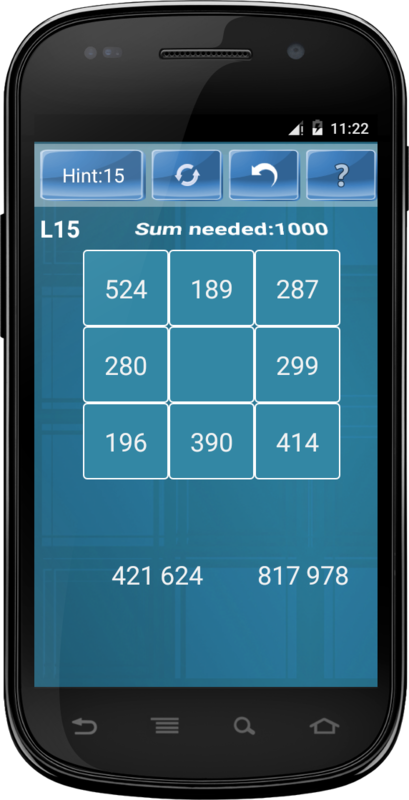 In the new version you can arrange numbers so that they add to 1000. 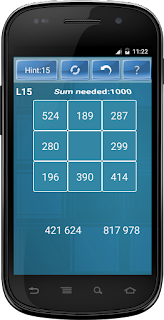 And there are also levels where sum is a random 2 digit number - different number each time. Isn't it exciting? Believe in fast work? For you, there is timed mode. You have to finish a level in 50 seconds. And if you finish much earlier, the remaining time is added as a bonus in next level. Do you need a hint? I do not ask you to purchase one. You can use a hint - again one hint per level which is accumulated if unused. Does it look quite exciting? Download the game now and start playing!! !